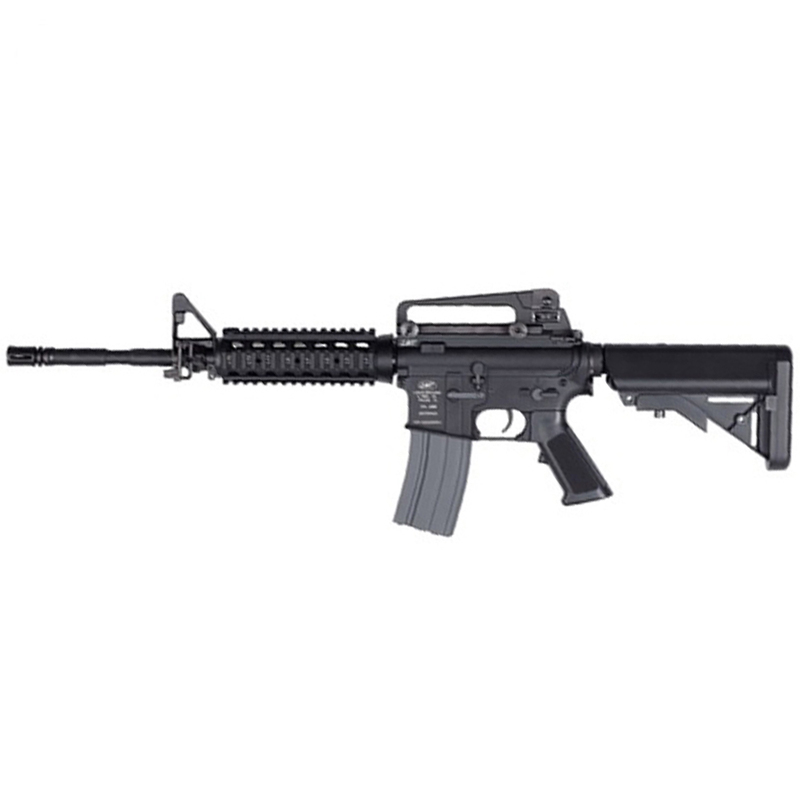 The ASG LMT Defender R.I.S. 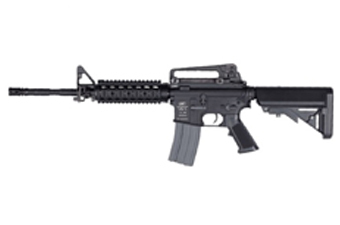 is a classic carbine with a few modifications. The normal front guard has been replaced with a full rail interface system (R.I.S. ), that gives you plenty of opportunities to mount accessories. As the normal battery space is used by the R.I.S. the wiring to the battery goes back to the stock. The stock is a special sopmod stock with two compartments to house the battery. The functionality is similar to the other LMT ProLine models – Adjustable hop up, 1.5 joule power and semi & full auto.